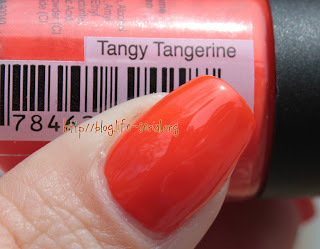 The one with Salon Perfect Tangy Tangerine! Happy Sunday to everyone! I hope your weekend is going well. Mine has been pretty good...yesterday my husband, my son and I went to see The Avengers. Great movie. Great, great movie. I can't recommend seeing it enough. For a few years now, my husband and I had averaged less than one movie in the theatre per year. It's weird...we've already been to three movies this year! But anyway, back to polish! 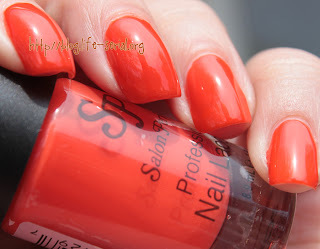 haha Today's post features Salon Perfect Tangy Tangerine, a bright, vibrant orange! 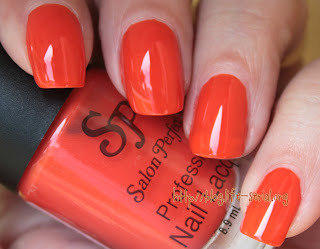 It looks like a more orange sister of Spicy Tomato. 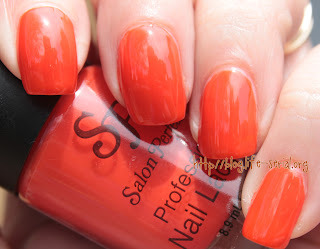 You can visit Salon Perfect on the web. 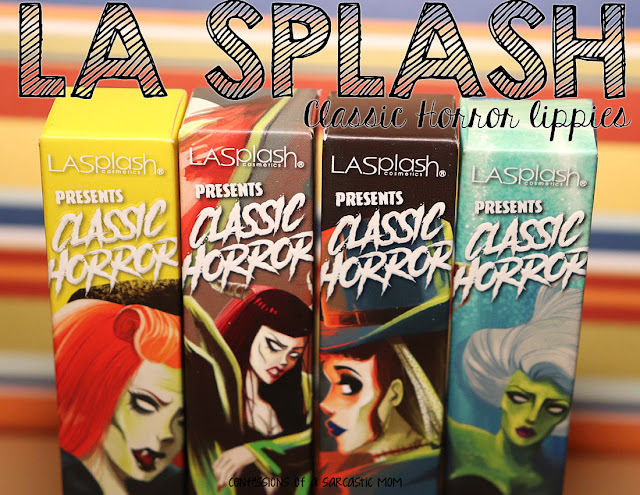 The spring collection will be available at 1,700 WalMart stores this month and retail for $2.98.